Today I want to share a free printable Valentine’s Day Sign with you! 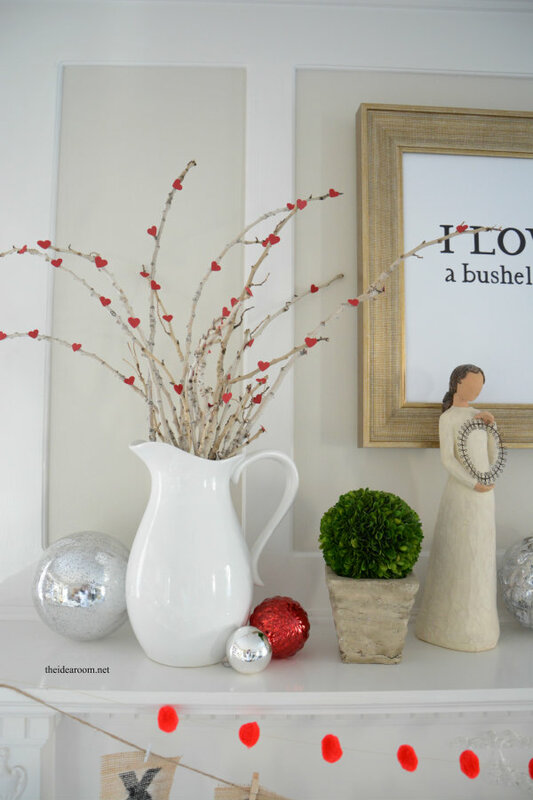 I recently shared with you this Bushel & a Peck Pillow, and I got a lot of great comments and feed back from several of you who also use this phrase in their families. 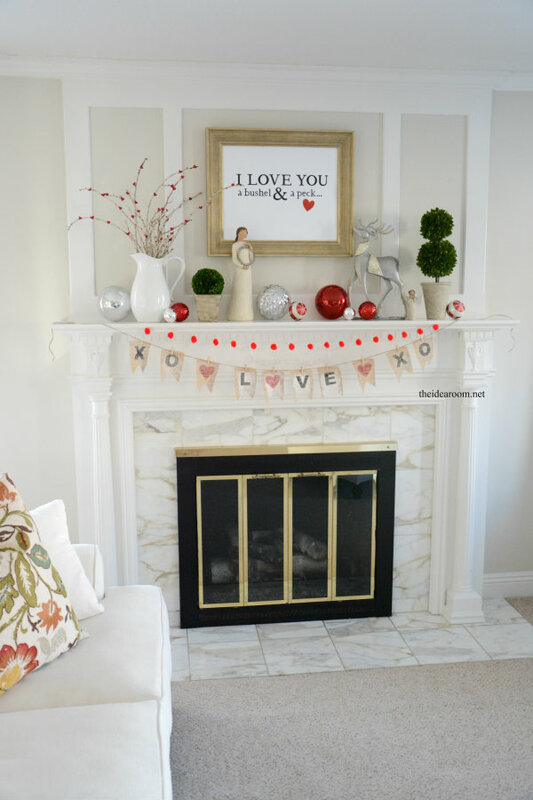 I thought it would be fun to make a large sign to display on our Fireplace Mantel for Valentine’s Day. After Valentine’s Day, I am really thinking that I am going to move the sign into one of my daughter’s rooms. It would also be fun in a nursery…don’t you think? 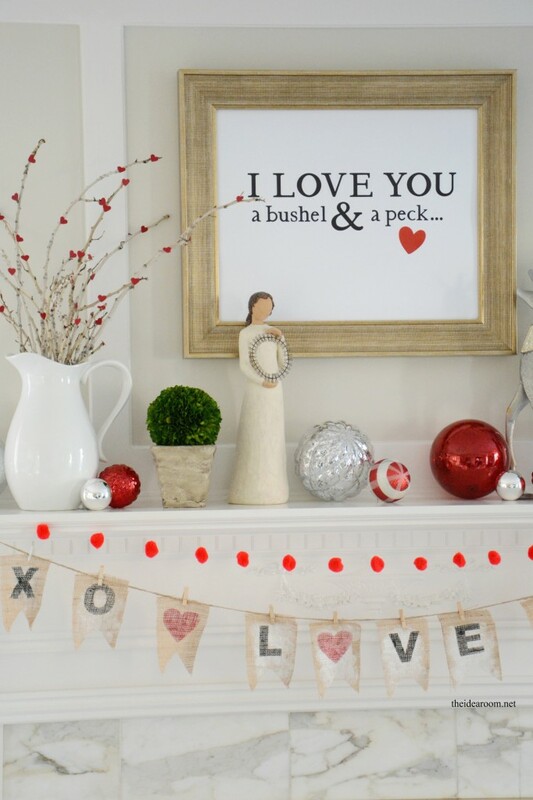 I also decided that I wanted to move the Valentine’s Day Banner from our Kitchen Hutch to the fireplace mantel. I think I like it here a lot better. I grabbed some of the Christmas tree ornaments out of the Christmas boxes and just placed them up on the mantel to add some color. At first I wasn’t sure if I liked it, so I am going to have to see if I keep them up there or not. 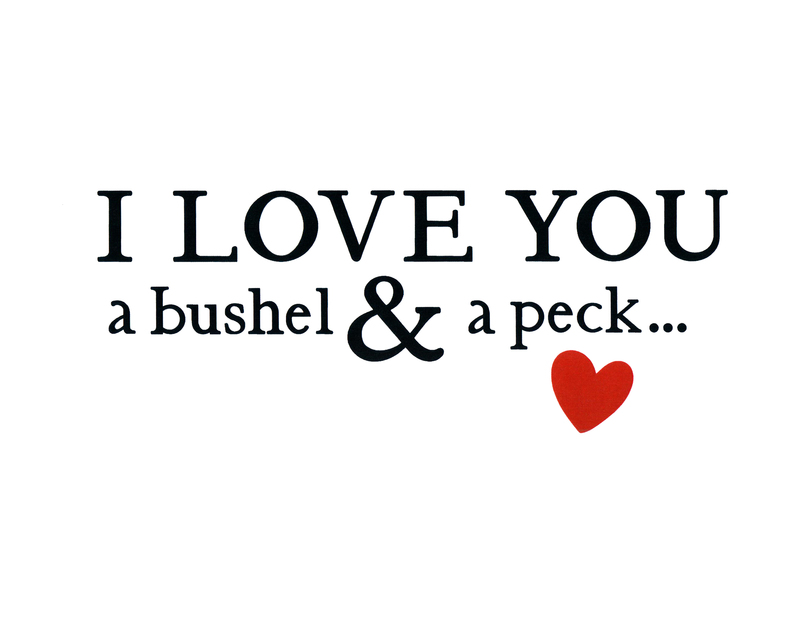 For the Bushel & a Peck Valentine’s Day Sign, I simply created this image in Photoshop and then uploaded it to Costco’s Online Photo Center and had it printed out in a 16 x 20 photo. It was pretty inexpensive and was ready in a couple of hours. Then I simply placed it into my empty photo frame (which I used for this Lighted Christmas Sign). 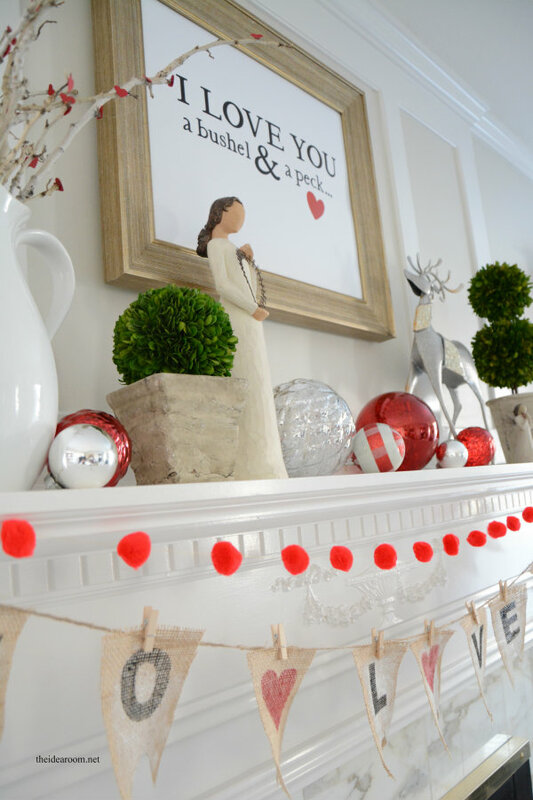 The pom pom garland is simply red pom poms strung on a piece of thread with a large needle. 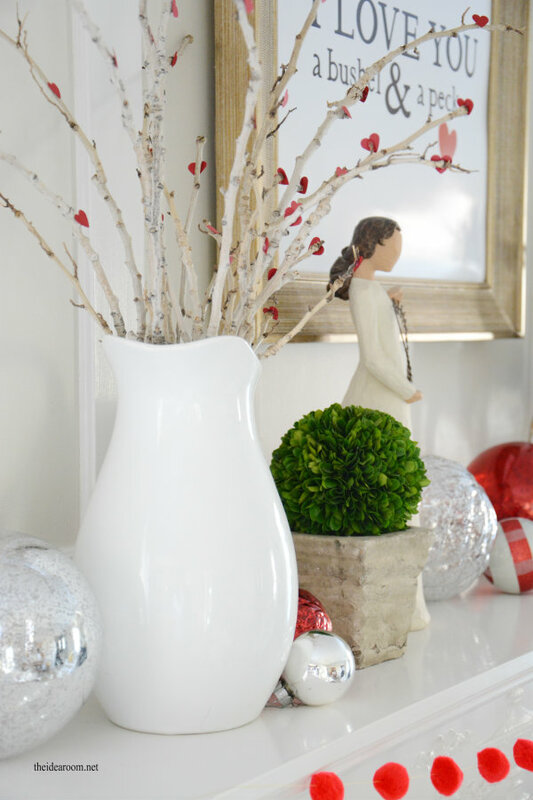 It takes minutes to make and adds some fun color! I also quickly made the heart branches in a matter of minutes by hot glueing some hearts that I punched out of red scrap book paper onto the branches. 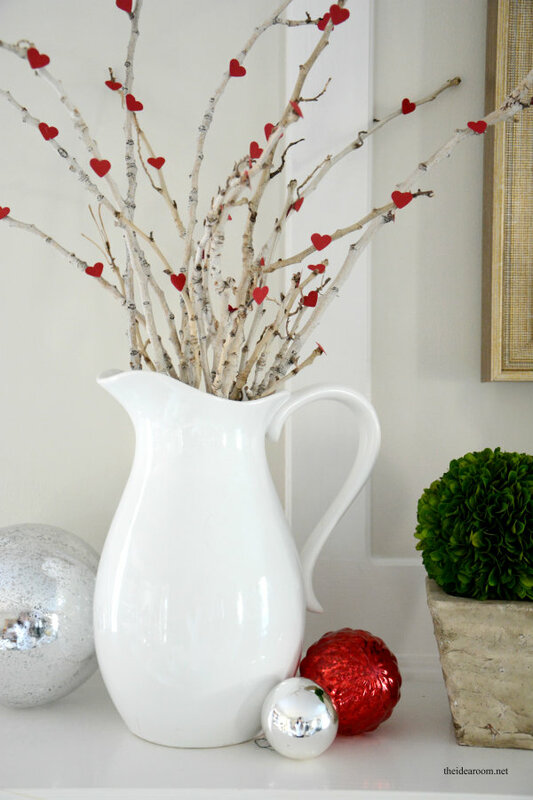 I originally saw this DIY Heart Tree from Money Hip Mamas. Luckily, we had a larger branch fall off of our tree the other day during a big windstorm. It was still laying on the side of the house and had the perfect size branches to fit in my white vase. 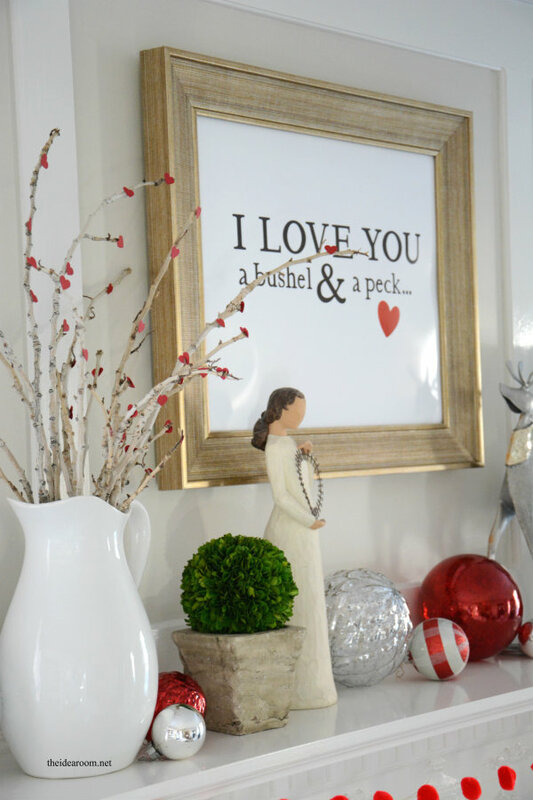 The printable Bushel and a Peck sign can also be printed onto freezer paper (or regular paper) and used as a stencil to make a lot of other fun crafts or pillows. So if you were wanting to make my Bushel & a Peck Pillow, but didn’t have a Cricut or Silhouette machine, you can now use this to create your own pattern! When I click to download what is labeled as the 16×20 jpeg to print, I get a Microsoft document , not an editable jpeg photo file. You are right! Sorry!! Grabbed the wrong file on accident! The link has been corrected! Been gone all day! I am having the same problem. Love the print! Thanks Cindy! I have been gone all day! 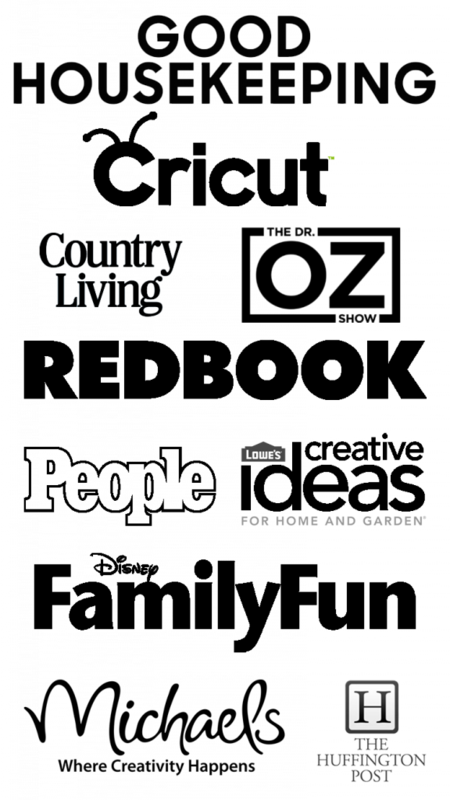 Just had a chance to link it to the right file! Sorry about that! Thank you so much for sharing this. My father, a very reserved man by nature, would sometimes break out singing this song while putting my brother and I to bed. He’s much more open with my children and I loved hearing him sing this to them and recently discovered that each of them downloaded the soundtrack version to their iphones. I had hoped to make the pillow like you did as well in one of your other posts, but was hoping to “cheat” a bit and print out a mirrored image on ironable transfer paper. But the link in the pillow post isn’t editable to make a mirror image. 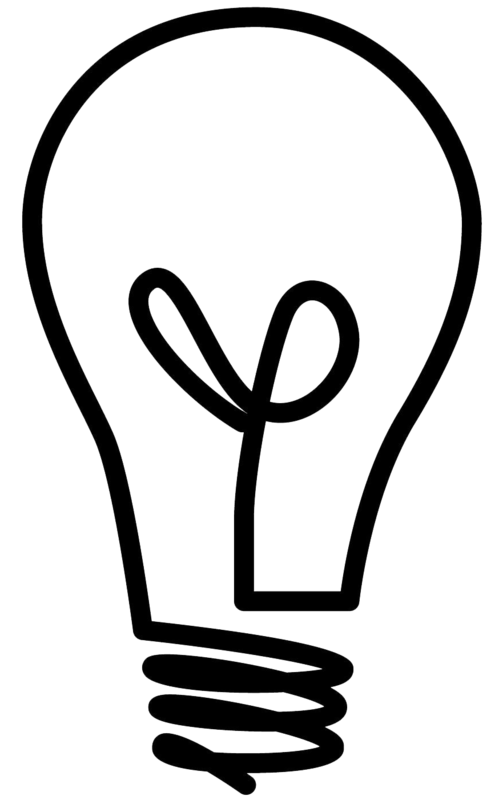 Is there any chance I could get either a mirror image of that stencil from you or a file I could edit? Thanks so much for this. My significant other and I met just over a year ago while speed dating at the senior center. I sing this to him regularly so will definitely print this out for our Valentine’s Day celebrations. Perfect! 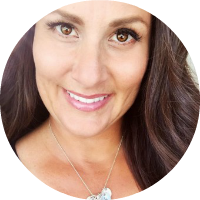 Tina- What a fun story. So happy you like this.